We are so proud to call ourselves New Yorkers, aren't you? Show your love with a horizontal tiny nameplate hand-cut using traditional metalsmithing techniques. Artisinally made in NYC by Lisa Linhardt from recycled sterling silver. 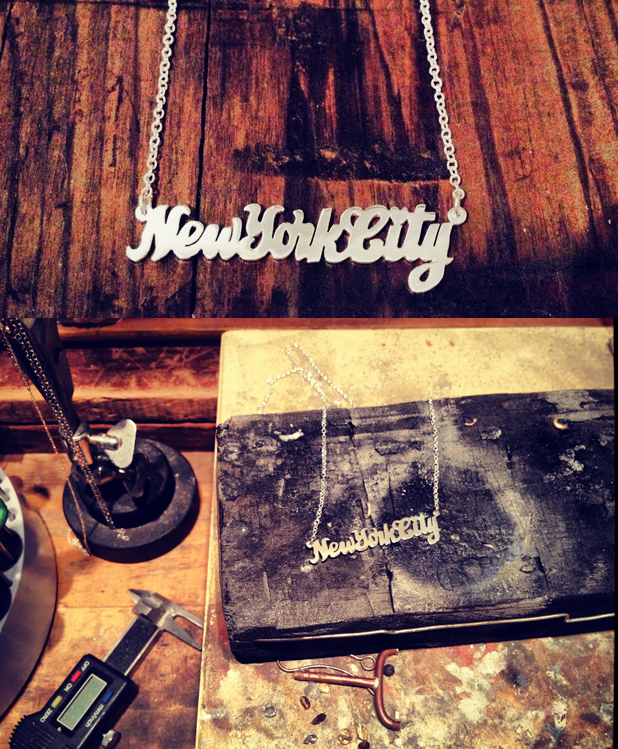 Available in Mini-Brooklyn, Mini-New York City, and Mini-NYC bling. Victims of Hurricane Sandy continue to need our support. 10% of the sales of these necklaces will be donated to the POWER ROCKAWAYS RESILIENCE. Donations will help fund sustainable and renewable energy resources including solar generators and propane heaters.